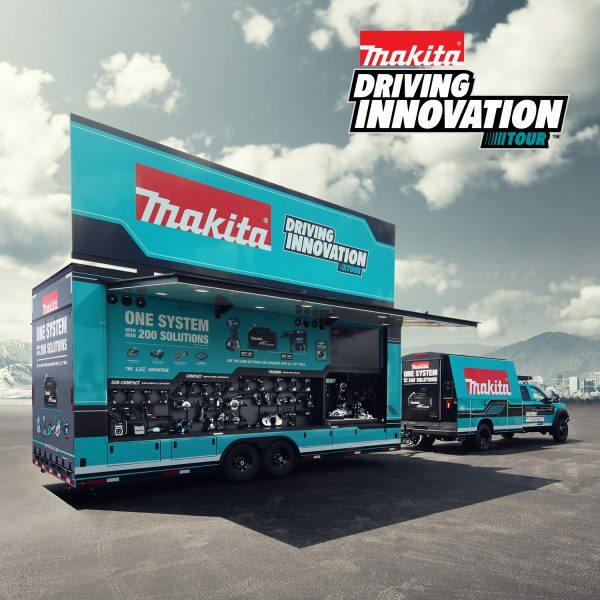 Makita is hitting the road with the new Driving Innovation Tour, a fleet of fully customized vehicles with product specialists delivering an interactive and hands-on experience for tool users and dealers. The vehicles will each carry a full range of Makita LXT, which gives users one system using the same batteries and chargers on all LXT tools. The Tour delivers a 360° experience with the very latest in cordless innovation as well as sweepstakes, giveaways and promotions. Each Driving Innovation Tour vehicle packs a full range of Makita LXT tools, power equipment and lifestyle solutions, offering users and dealers an opportunity to experience Makita’s vision of a cordless job site. For more on the Makita Driving Innovation Tour visit www.makitatools.com/drivinginnovation.